AUSTIN – Texas dove hunters will get an additional 20 days this fall under changes to the 2016-17 Statewide Hunting Proclamation for Migratory Game Birds. The U.S. Fish and Wildlife Service has approved a 90-day Texas dove season, the longest in 80 years. 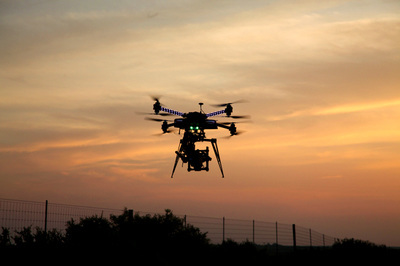 Under new federal guidelines, Texas presented migratory game bird regulation changes earlier in the year than previously allowed. The Texas Parks and Wildlife Commission adopted dove and waterfowl hunting seasons at its March 24 public hearing, giving hunters more time to plan trips afield. 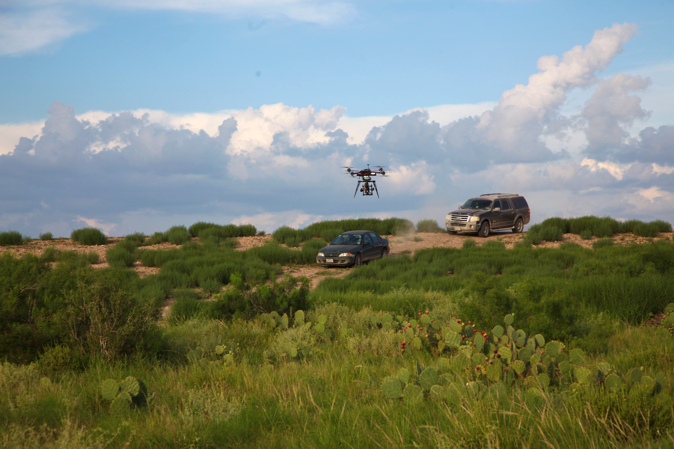 TPWD staff integrated the additional 20 dove hunting days early in the season to take advantage of migrating birds. The traditional September 1 dove season opening day in the North and Central Zones remains, while the South Zone opens Sept. 23. The first segment in the North and South zones extends through Nov. 13, while the Central Zone runs until Nov. 6. The season reopens statewide Dec. 17 and runs through Jan. 1, 2017 in the North Zone, Jan. 8, 2017 in the Central Zone and Jan. 23, 2017 in the South Zone. The daily bag limit for doves statewide remains at 15 and the possession limit 45. The Special White-winged Dove Area is restricted to afternoon only (noon to sunset) hunting the first two full September weekends on Sept. 3-4 and 10-11. Hunting in this area reopens Sept. 23 and continues through, Nov. 13, and then reopens again on Dec. 17 through Jan. 19, 2017. During the early two weekends, the daily bag limit is 15 birds, to include not more than two mourning doves and two white-tipped doves. Once the general season opens, the aggregate bag limit is 15 with no more than two white-tipped doves. 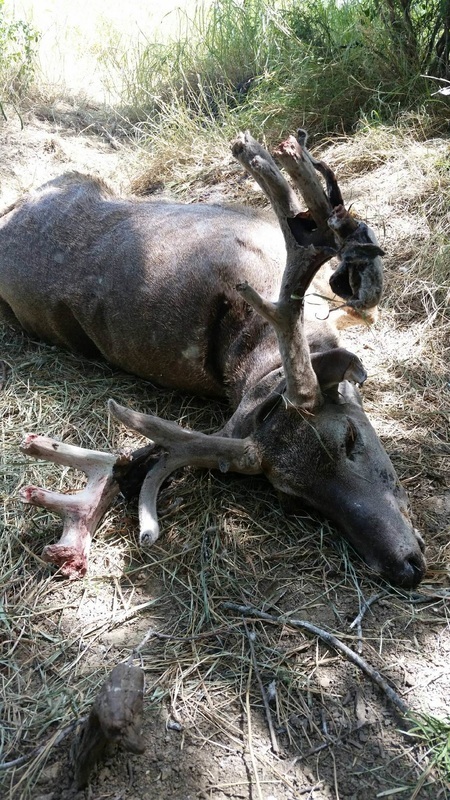 It's a horrible feeling to walk up and find a deer like this. We have no idea what killed him but it's very sad. We watched him last year and let him go to get some more age. He was going to be a giant. 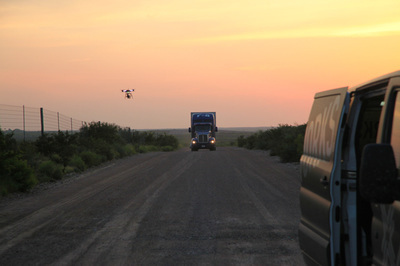 OC Films LLC and Scoot Productions LLC contacted us a couple of months ago looking for filming locations for the feature film "Journey" which was shot in Laredo, TX from June 10th to June 30th. 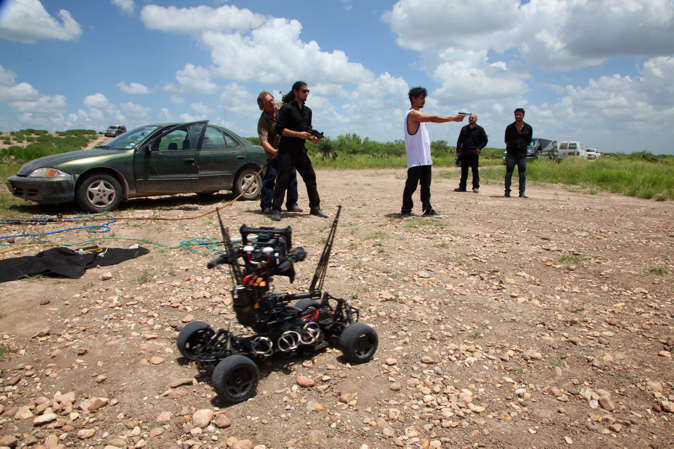 Journey is the story of a young college student who was born in Mexico and brought over illegally to the United States as an infant. For all intents and purposes, he grew up as an American. He has a loving relationship with his college girlfriend, Samantha. They fall in love and she ends up pregnant. Roberto takes the risk as an illegal immigrant to get a job to support his very young family, when he gets swept up in a raid and sent back to Mexico. A place he has no memory of. A foreign country. Wanting to be with Samantha when their baby enters the world, Roberto finds himself struggling to survive the journey home. 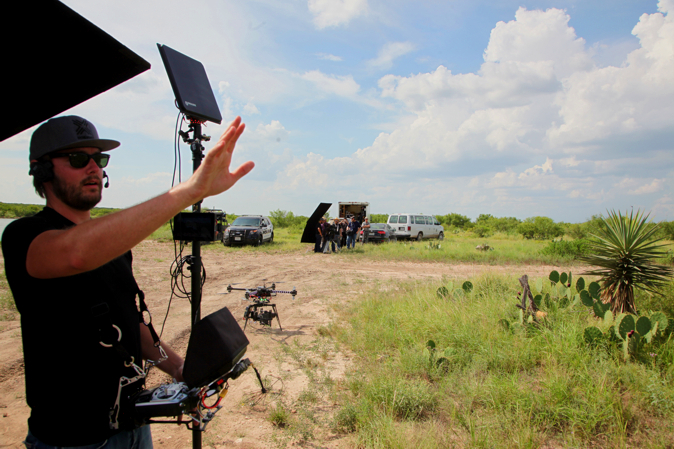 Several scenes were shot over a 3-day period from June 24-26th. 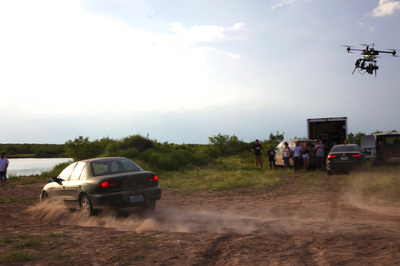 Filming a chase scene from "Journey" movie at La Perla Ranch - June 25, 2015. 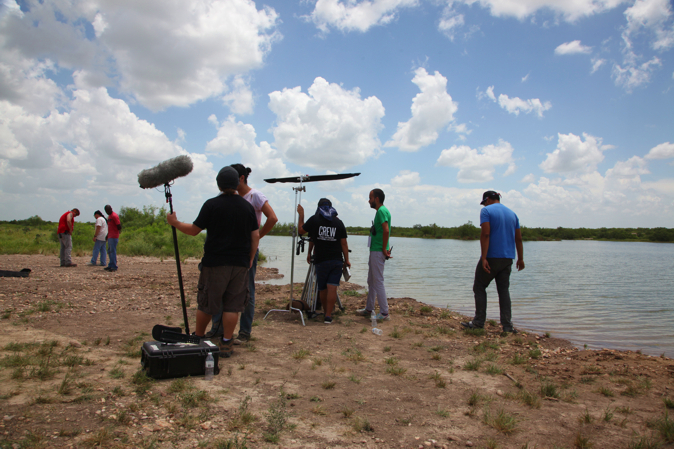 This week Alton Jones and friends visited La Perla ranch for some Bass fishing. Judging from the photos below, they had a great time!! This story was published today on the Outdoor Wire newsletter about the monster 14:3 bass caught at La Perla Lake last week. ﻿Toyota ShareLunker entry #559 was picked up at 2:00 a.m. this morning from the famed Tecomate Headquarters, La Perla Ranch, which has been the talk of the bass fishing world the past couple of months. The behemoth largemouth was caught by Blair Schwarz late yesterday afternoon and weighed soon thereafter on certified scales kept at the ranch. Sharelunker #553 weighed in at an incredible 14.3 pounds, which equates to 14 pounds 5 ounces, and is the largest ShareLunker caught since 2013. The La Perla lunker is the second submission of the season to Texas Parks and Wildlife’s ShareLunkerprogram. It is not yet known whether the fish is a pure Florida largemouth. If she is not pure Florida, she will be returned to La Perla Lake as soon as possible. However, if DNA testing at the San Marcos Fish Hatchery shows that she is pure Florida, she will be held in Athens through the spring so that any fry she produces can be grown and then distributed. A portion of any fry produced will be released into water bodies producing ShareLunkers during the current season. 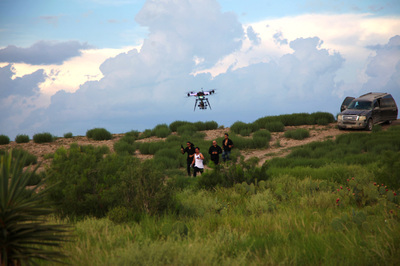 Some will go back to La Perla Ranch, and some will be used for research. Tecomate’s La Perla Ranch and lake projects on the ranch are the brainchild of Blair’s father, Dr. Gary Schwarz, who first became famous for his pioneering work on nutritional food plots along with biologist and whitetail legend David Morris. 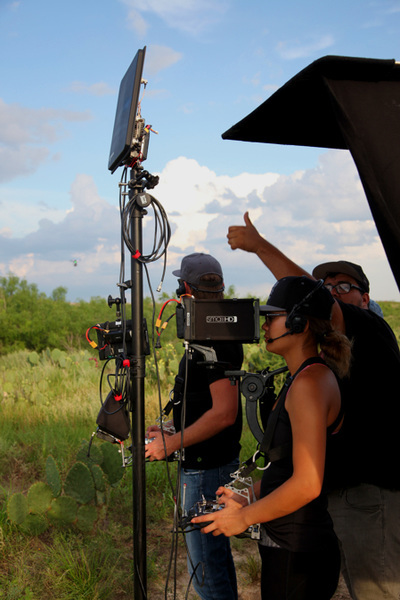 That work led to the formation of Tecomate Seed Company and eventually to the “The Bucks of Tecomate” TV show, one of the highest-watched shows in outdoor TV history. Seven years ago, Schwarz turned his attention to bass and began a quest to grow largemouth bass to megaproportions using the same high-nutrition “food plot”concept he pioneered for deer. 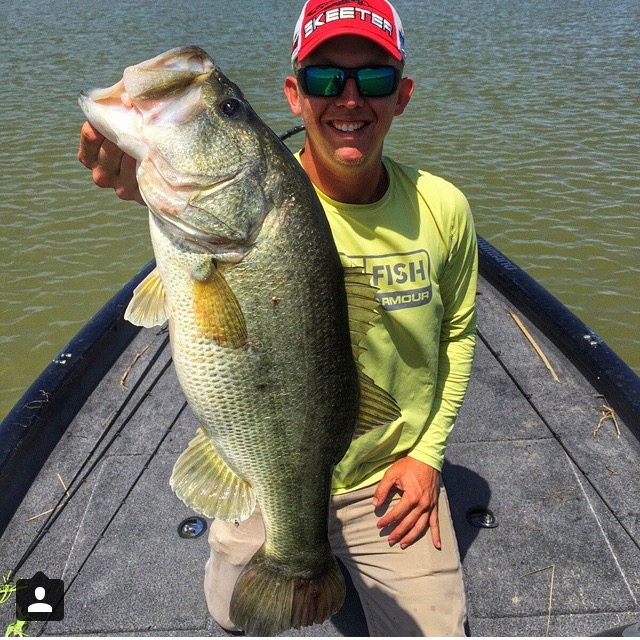 The recent catch and submission of the giant La Perla bass to Texas Parks and Wildlife Department’s Toyota ShareLunker program is the latest in a long list of recent headlines about La Perla in the bass world. 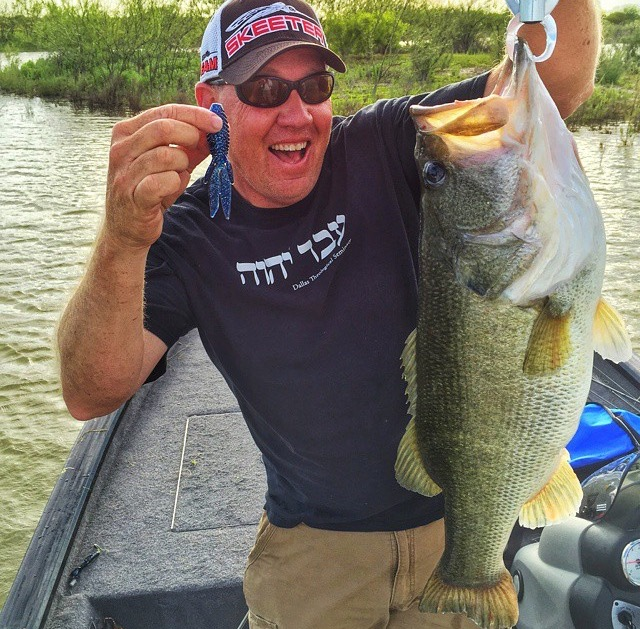 A week ago, Mark Zona, MC of the Bassmaster Elite series and host of “Zona’s Awesome Fishing Show,” aired an episode that featured his incredible introduction to fishing La Perla Lake. The previous week, fishing juggernauts Shimano and G. Loomis hosted 16 outdoor writers at La Perla to test new products on several of the La Perla Ranch lakes, which was fitting since the most recent La Perla lunker was caught on a Shimano Curado reel and G. Loomis IMX rod. Three bass over 10 pounds were caught in one day during the Shimano event, and several articles documenting the trip and the incredible fishery ensued. Blair’s bass tops the previous La Perla Lake record, caught by Matt Carter of Austin, Texas, by almost two full pounds. Bob Mahoney, Shimano Northern Marketing Manager, talks about the new G. Loomis E6X series rod and matching it up with the Shimano Curado baitcasting reel while fishing La Perla Ranch Resort in Texas. Zona's Awesome Fishing Show starring Mark Zona and featuring Tecomate's La Perla Ranch airs on the Outdoor Channel this weekend. All times are Eastern, please check local listings and adjust for your time zone. 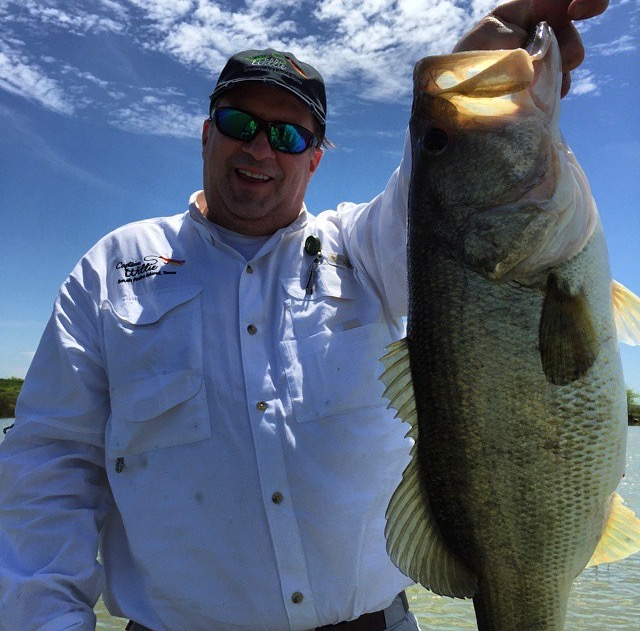 Be sure to catch the incredible fishing on Dr. Gary Schwarz' famous La Perla Lake in Zapata County, Texas. 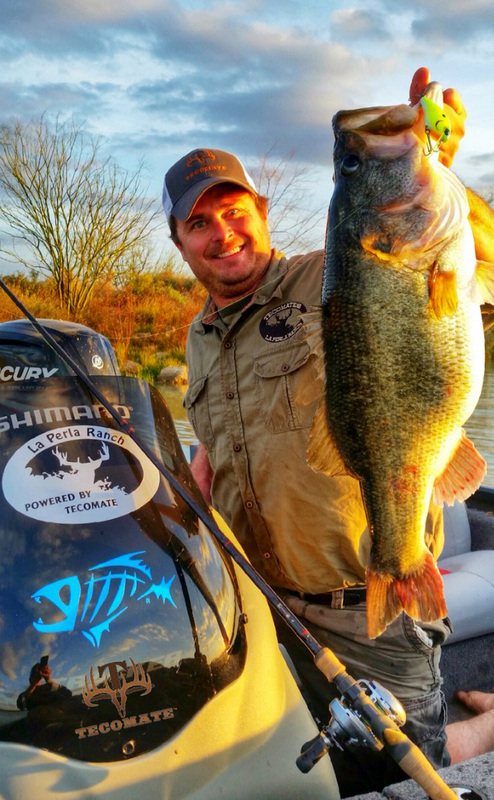 Brad Wiegmann Outdoors asks "How far would you travel to fish for giant largemouth bass? How much farther would you go to fish for giant largemouth that get limited fishing pressure? The answer is whatever distance it is from your house to La Perla Ranch in Texas." And that's exactly what Brad did during the Shimano Unveiling event last week at La Perla Ranch. Brad wrote a very nice article about his experience at the ranch and also had a chance to interview Dr. Gary Schwarz on two videos. The experts know when they have it good and they had a great time this past week at La Perla Ranch. 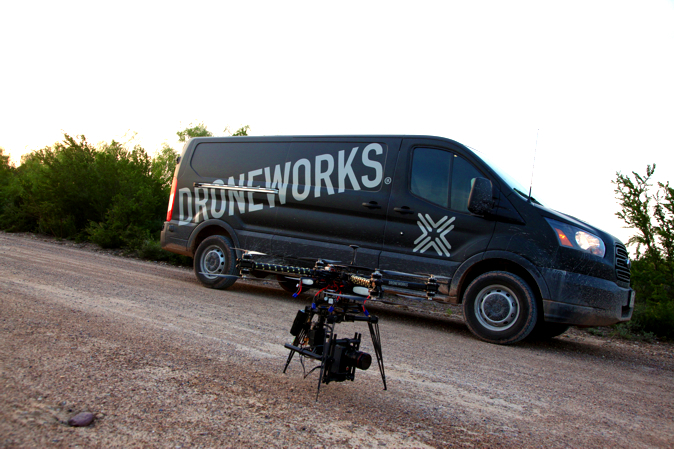 Here is another article with plenty of photos highlighting their visit to this special place in deep south Texas.